In business, when there is an investment, be it money, time or manpower, there is a need to account for the return of investment. When businesses or organization invest on conducting events like seminars, trainings, workshops, etc., audience turnout is a great way to measure success and return on investment. In this sense, making sure that you take into account every participant is essential. 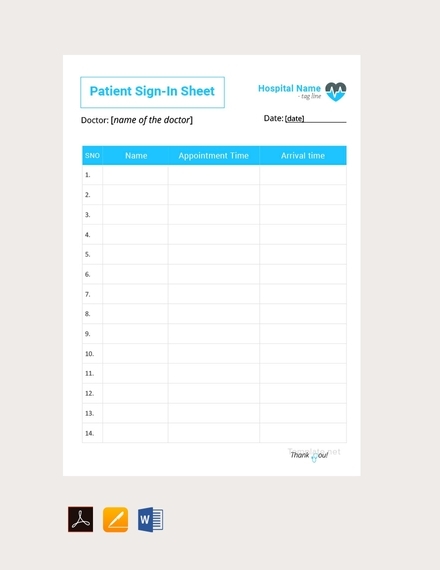 To make sure you are able to gather information about them, a sign-in sheet is a good tool to use. It is basically a form participants fill out with certain information that the organizer can use to check if there is return or investment, a deficit in the budget or misalignment with the budget and number of people or vice versa. 1. Sheet heading/title: The first thing the person should see on your sign-in sheet is the heading/title. The heading or title of the sign-in sheet should related to what the event is; for example: Arts and Crafts Workshop Sign-In Sheet, Parent-Teacher Night Sign-In Sheet, History 101 Class Sign-In Sheet, and so on. It should immediately tell the person about where the sign-in sheet will be used for. 2. Event information: Aside from the event name, you should also provide other pertinent information about the event. Since the event name is usually plastered on top of the sign-in sheet, other information about it should be indicated below. Include the date and time of the event, venue, organizer/person in-charge, and so on. 3. Columns and rows: A sign-in sheet should have different columns for the specific information required. Columns ensure that the participant easily knows where to put a specific information. Rows also ensure that information don’t get mixed up with each other. 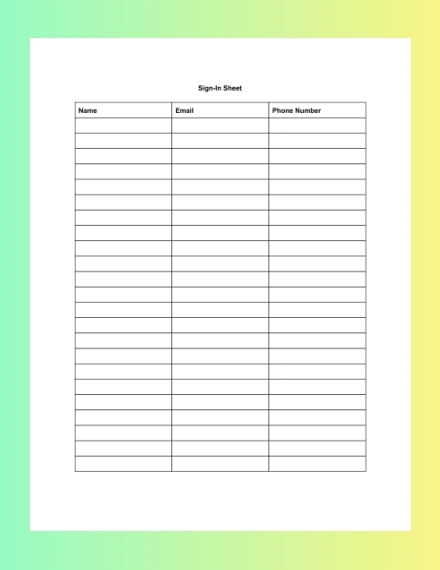 Columns and rows help achieve neatness and organization in the sign-in sheet. 4. Appropriate column titles: Although columns and rows make sure different information are separated systematically, each column needs appropriate titles on what specific information should be written under it. Titles for each column ensure that the participant can write the correct and appropriate information. 5. Efficient overall layout design: A sign-in sheet does not really need complicated design or design elements. However, you need to choose a layout that is more efficient and can contain all the information you need from your participants, i.e. portrait or landscape layout format. A good design element to include is the organizer logo as well as the official event logo so that you can emphasize your brand. 1. Open new document: Launch your Microsoft Word on your computer. Once it is open, start a new document; make sure to choose a blank document. There is no need to choose for available templates since a sign-in sheet is really easy to make. Make sure to choose a blank document. 2. Change paper layout or orientation: If you would only like to ask for the participants’ name and signature, then choosing the portrait layout is best. 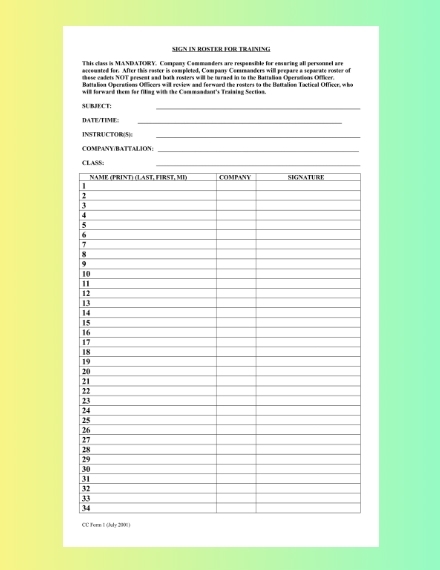 However, you would like to ask for their name, age, gender, school/office/department,etc., signature, and so on a landscape layout will ensure all those information fit on a single page. To change the page layout, go to Page Layout then click Orientation; then choose if you’ll use a portrait or landscape layout or orientation. 3. Add sheet title: As explained earlier, it is important to put a heading on your sign-in sheet so participants know why they have to sign the sheet. You can easily add the title or heading of the sheet by typing it out, choosing the font you prefer, then change its alignment to center. After that, proceed to typing the other needed information such as the time, date, location or venue, etc. a single space below the title. 4. 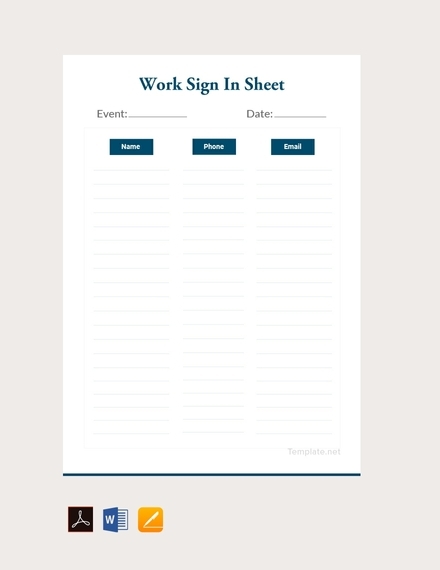 Insert table: A table will be more efficient to use when making a sign-in sheet because you have full control on the number of rows and columns you want to appear on the page. To insert a table, go to the Insert tab, then choose the Table option. Once you click Table, a drop-down of the choices available will appear where you can pinpoint how many rows and columns to insert. However, if you wish to directly input the number of rows and columns, an option named Insert table on the drop-down will allow you to do so. 5. Add appropriate column labels: After your table is inserted on your page, adjust the width and height for your rows and columns. Then proceed to adding the labels for each heading. The labels will determine which information goes to where making it easier for your participants to fill out your sign-in sheet. You can also add numbers on each row for one column, preferably on the name column. 6. Proofread and edit: After you are done with making your sign-in sheet, make sure there are no errors, misspellings, and so on. Edit your sign-in sheet as you see fit. To see if your layout fits perfectly on your page, go to File then click Print, after that choose Print Preview. If everything is okay, then proceed to Print by clicking the printer icon. 1. To add the title or heading for your sheet, click the Insert or View tab, then click the Header & Footer option. Then choose where you want to put your header and type the heading or title. 2. Since Excel already has the columns and rows ready all you have to do is put the appropriate labels in each column. You can also adjust the width and height for the rows and columns to make sure your texts fit properly. 3. If you’re satisfied with how you page looks you can proceed to the printing process. To print your sign-in sheet, select the rows and columns you have chosen to use, then click File and choose Print; under the Settings click the arrow next to Print Active Sheets and select Print Selected Table. 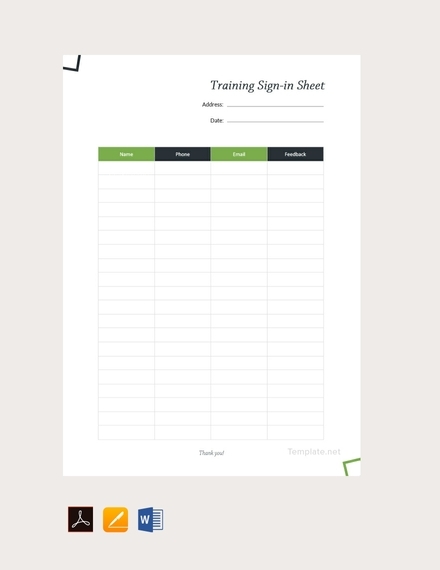 Headings, titles, and labels make it easier for the participant to fill out the sheet, make sure to include them where they are needed. Make sure to separate each row and column to avoid confusion. Adjust the width and height of your rows and columns to ensure they are writable. If needed, include indicators as to who needs or requires the sign-in sheet, i.e. indicate the organizer or include official logo and seal. Make sure you make your table fill the entire page for practicality’s sake. Including a column for the participants’ signatures will certify that the information written on other columns are factual and true. 1. 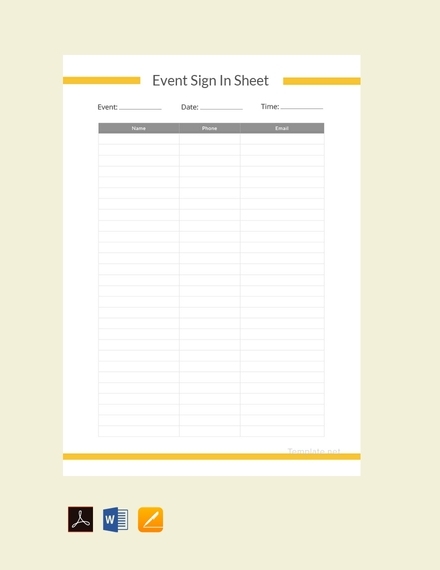 Event Sign-In Sheet: These sign-in sheets are used for organized events such as training, seminars, workshops, conferences, shows, art exhibits, and so on. 2. 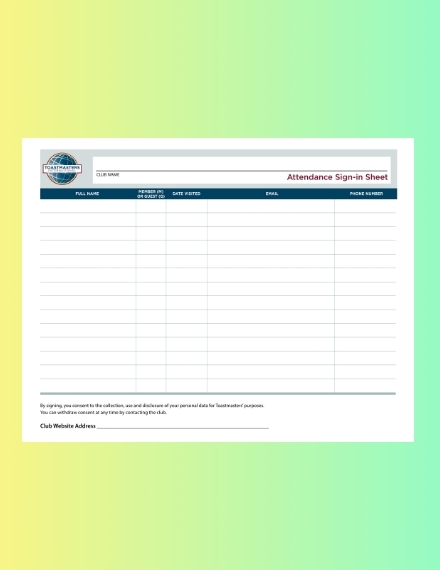 Academic Sign-In Sheet: Instructors or teachers require students to fill out a sign-in sheet once they come to class to keep track of their attendance which will be one of the basis for their grades. 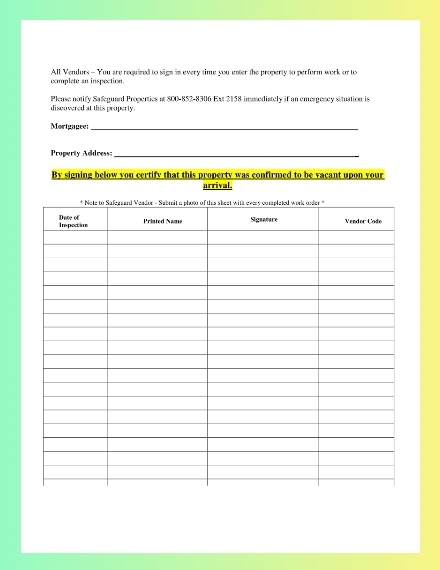 Other types of academic sign-in sheets are used for field trips, parent-teacher meetings, inter-school competitions, etc. 3. 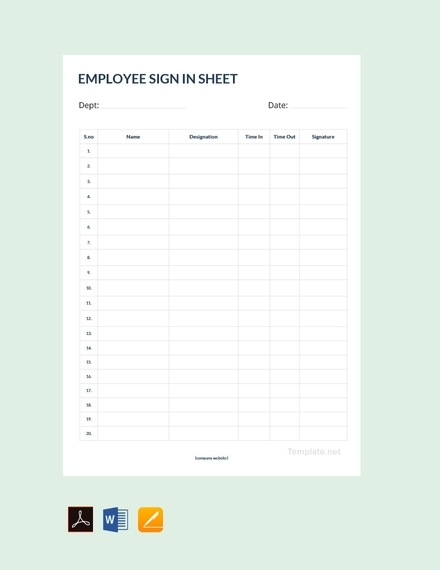 Corporate Sign-In Sheet: Somehow just like how a daily log book, a corporate sign-in sheet is used to record the attendance of employees and even visitors. 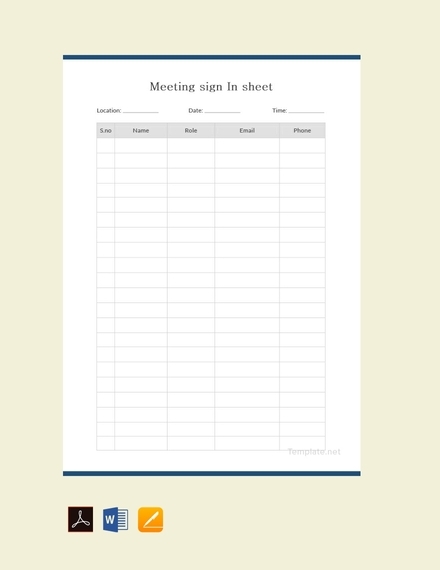 This type of sign-in sheet are used mainly in the office. 4. 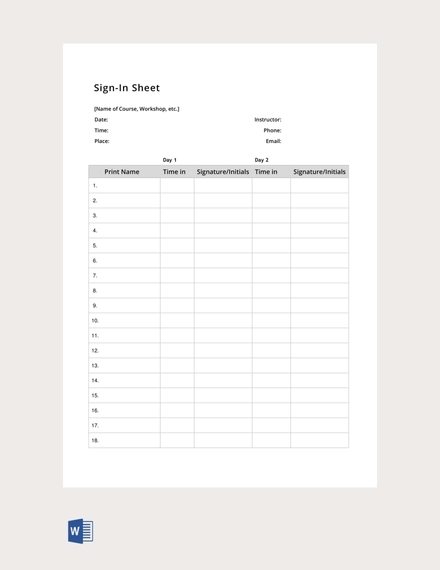 Digital/Web Sign-In Sheet: In this day and age, people prefer to do everything online, that is why sign-in sheets where you can sign and fill out online are prevalent. Google Docs are commonly used for this type of sign-in sheet. 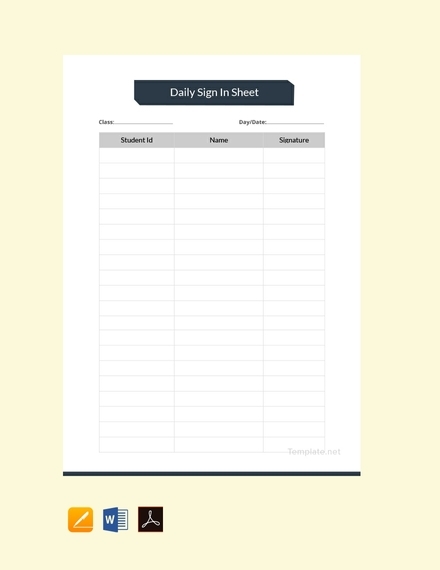 What is a sign-in sheet? 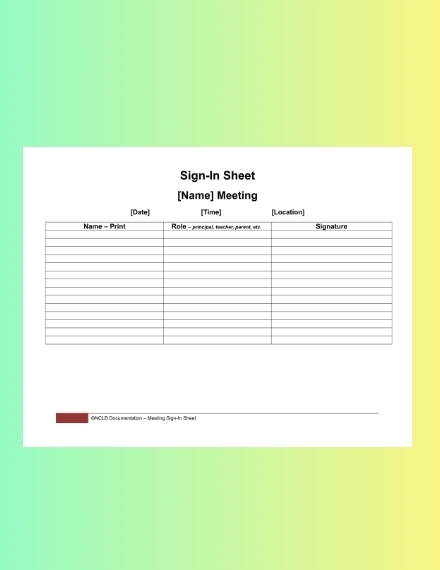 A sign-in sheet is a document that is basically a log where people part of an event, class, or gathering fill out with the name and other information. 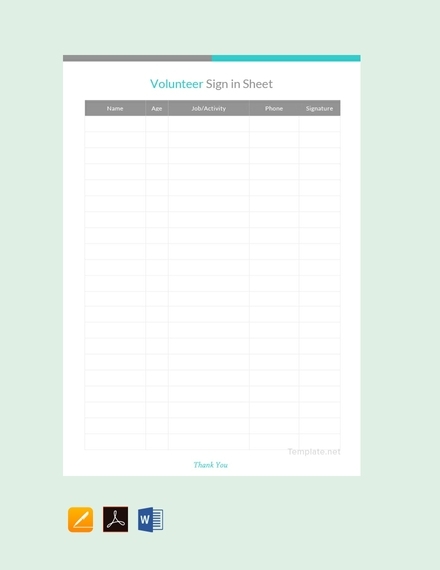 In the same sense, a sign-in sheet is also where interested parties sign up to join activities and gatherings. Is a sign-in sheet important? In cases where there is a need to take into account the number of people attending a class or event, then yes, it is important. However, if that is gatherings do not require some sort of liquidation, a sign-in sheet is not necessary.